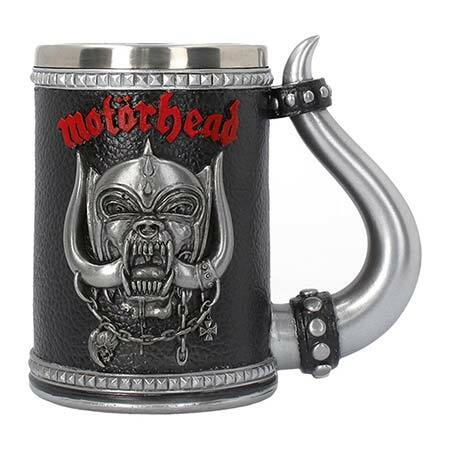 High quality, very detailed tankard made from resin with embossed MOTÖRHEAD "Warpig" motif, band logo and other MOTÖRHEAD themed ornaments. The tankard and all details are hand painted! Comes with a removable stainless-steel insert with a fill volume of 1 pint (ca. 0,56l). Height 14,5 cm.